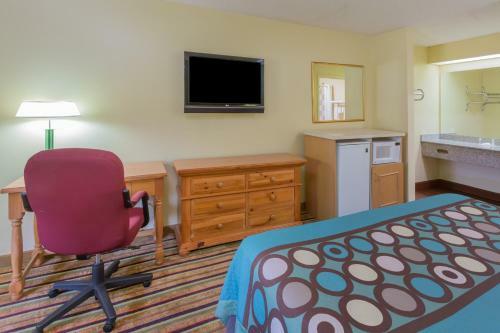 Rooms from $56.10 per night. 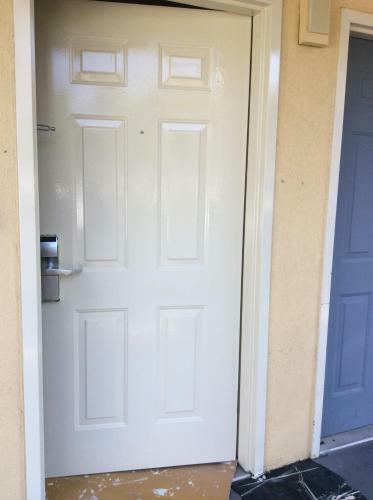 Description This Norcross, Georgia hotel has an outdoor pool, free internet access and non-smoking guest rooms. 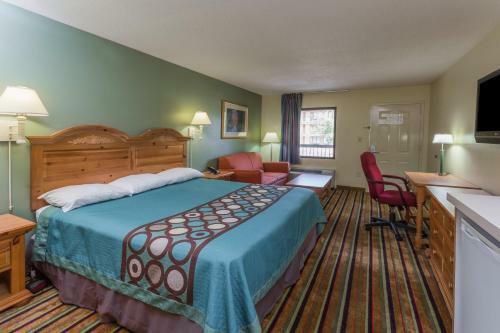 Freebies like breakfast Wi-Fi and parking meet karate-chopped rates at the pet-friendly Super 8 Norcross/I-85 Atlanta. 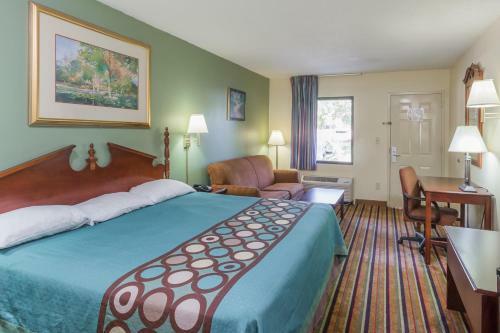 The two-story Super 8 offers free Wi-Fi and premium cable TV (HBO included) in all of its 58 rooms. 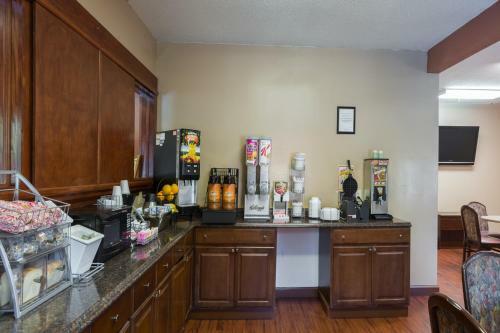 Early birds appreciate the complimentary SuperStart continental breakfast of coffee tea juice milk cereal and assorted pastries served each morning. There's an outdoor pool plus a business center with copy and fax services. If you're road-tripping with the family dog you'll appreciate Super 8's policy of welcoming pets for a small fee. Parking is free with plenty of space for RVs and trucks. 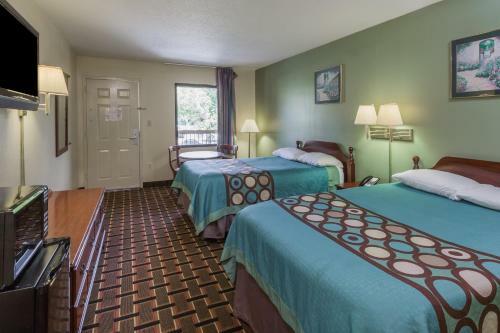 Located just off I-85 the Super 8 is 20 miles northeast of downtown Atlanta attractions like the CNN Center Georgia Aquarium Georgia Dome and Phillips Arena. It is also within a 30-minute drive of higher-ed institutions including Emory University Georgia Tech and Georgia State University. The Forum on Peachtree Parkway six miles away offers a myriad of restaurants and upscale retailers. Hartsfield-Jackson Atlanta International Airport is 31 miles from the hotel. 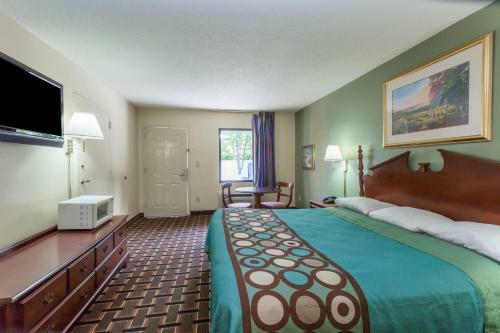 Add Super 8 By Wyndham Norcross/i-85 Atlanta to your free online travel itinerary.